This is more than just another Dalí art exhibition– this is the story of a relationship between a publisher and an artist, and the generosity of a woman who would share their collaboration with the world. 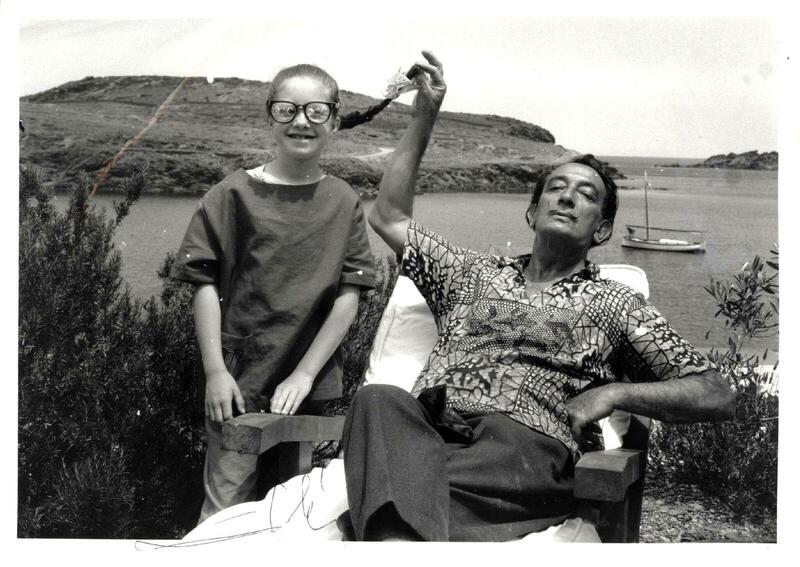 Pierre Argillet was Salvador Dalí’s publisher, and his daughter, Christine, graced Russell Gallery’s new expansive location with her personal archive of Dalí’s etchings and tapestries, along with family photos, films, and anecdotes of their memories with Dalí and Gala (Dalí’s wife). Dalí’s copper etchings were produced between 1959 and 1973. Because etchings are created in reverse there is a certain spontaneity to the creative process. The line is hand-etched using a scribe. It becomes almost a sculpture in itself, and is then reverse-printed in stages. Argillet brought Dalí’s work into the publishing mecca. Dalí brought to life the scenes of “Cassandra’s Love” by French Renaissance poet, Ronsard, “Secret Poem” by Apollinaire, and Faust’s “Walpurgis Night.” The permanent home of this collection is between the Dalí Museum in Figures, Spain and The Museum of Surreal in France. “The loves of Cassandra” by Pierre de Ronsard. Illustration by Salvador Dalí. Edition Argillet, 1968. If you are in the Austin area do not miss this impressive, expansive, and rare collection of over 120 of Dalí’s works!